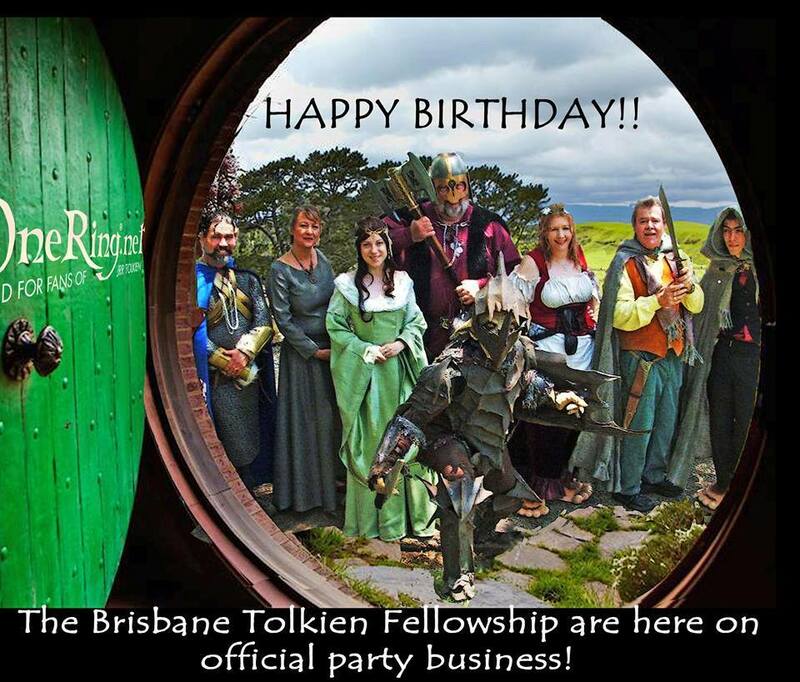 When our friends from within the Tolkien Community heard we’re having a special birthday they sent us these lovely messages as part of our celebrations. So Happy 15th Anniversary TORn! Here’s to many many more! Congratulations on fifteen fantastically fascinating years roaming and reporting from moviedom’s Middle-earth! 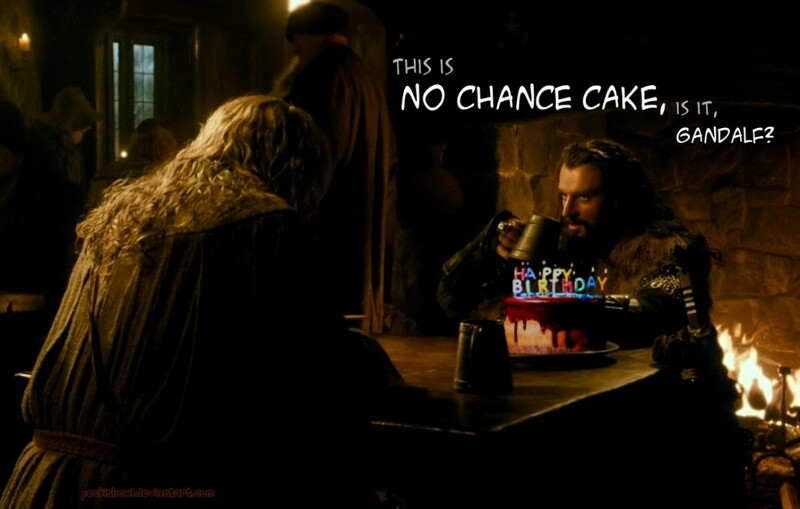 Happy Anniversary to all my hobbity, Dwarvish and Elven friends at TORn! 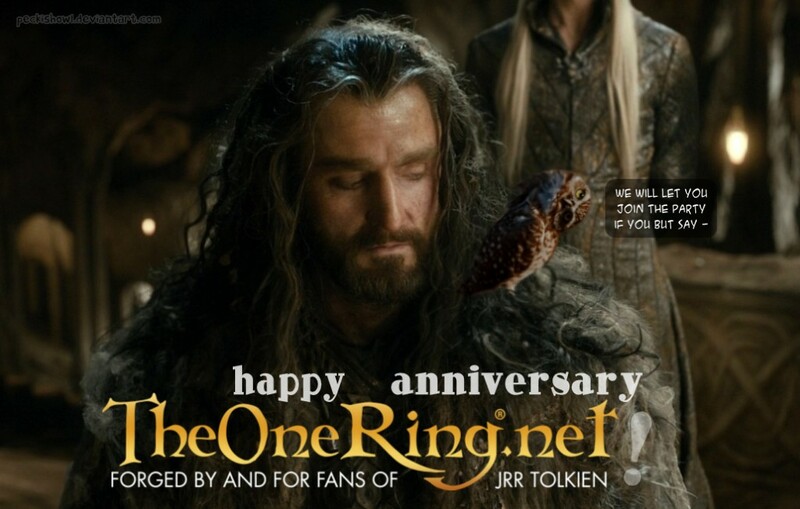 Congratulations on 15 years of fun, creative and informative LOTR / Hobbit info, pictures and video clips. We all really appreciate the work you do. Thank you from the team at Red Carpet Tours! Wow, doesn’t time fly. Fifteen Years! To the founders and all the staff of The One Ring, please accept my heartiest birthday congratulations. Your website has been an inspiration to me of all things Tolkien since the day you were born and I look forward to the next fifteen. You are, and always will be the best, the most revered and knowledgable Middle-earth website ever! I am in sunny Hawkes Bay teaching. Pretty intense with young drama students performing Saturday night. Have the best time everyone and hopefully see some of you in October. TheOneRing.net was born around the same time I began work on The Music of the Lord of the Rings Films. It was serendipitous timing. TORN was a window. Peering from one side, one could see the denizens of Middle-Earth; peering from the other side, one could see its fans, their curiosity, their passion, and their love. As I discovered that the project I’d taken on was far larger than I’d imagined, TORN taught me to never lose sight of either view. 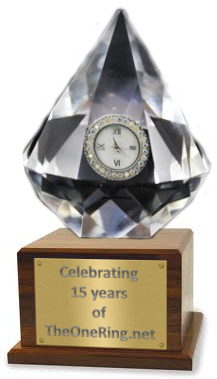 Congratulations to TORN on its fifteenth birthday! Here’s to another 15 years of loving lessons, guidance, and celebration. Dear TheOneRing.net! Unquendor, the Tolkien Society of the Netherlands, would like to congratulate TheOneRing with its 15th anniversary. It’s been 15 lovely years and the enthusiasm and love that this site and its members have shown to both the literary works of J.R.R. Tolkien as well as the various movies (PJ’s being the most notable) and other formats into which Tolkien’s works have been cast is astounding and admirable, to say the least. A welcome addition to Tolkienfandom worldwide. Various members of our society have been active on TheOneRing for many years. The Netherlands has a long tradition in Tolkien fandom. The first translation of The Lord of the Rings was in Dutch (In de Ban van de Ring), published in 1956-57 and translated by Max Schuchart. Tolkien himself visited Rotterdam on a rare press-trip back in 1958 (you can read more about that in Letter 206). Unquendor was founded in 1981 (Unque = hollow, -ndor = land: Holland). The society publishes their magazine Lembas five times a year, hosts several festivities each year and is actively involved in the International Tolkien Fellowship. Once every two years they publish Lembas Extra, their internationally orientated academic publication. Members often visit events in other countries. One of the founding members is the current Tolkien-translator (Hobbit-moviebooks, The Legend of Sigurd & Gudrún, The Fall of Arthur), members have been working on the revision of J.E.A. Tyler’s Tolkien Lexicon and the translation of the subtitles for The Desolation of Smaug. The society hopes that TheOneRing.net will continue to contribute to Tolkienfandom worldwide en mogen zij gezegend zijn zolang de tronen van de Valar blijven bestaan! Congratulations to TheOneRing.net on the occasion of their 15th anniversary! In the earliest days of Peter Jackson’s attempts to bring J.R.R. Tolkien’s epic writings to the big screen, TheOneRing.net was _the_ place to turn for news: on the scale of the effort, the writers, actors, engineers, artists, etc. I know that satisfaction levels with PJ’s efforts vary about as much as the very landscape of Middle-earth itself, but the one thing on which we may all agree is that Tolkien’s works are better known and appreciated now, and by a wider audience, than they have ever been. And that is due in no small part to the good work and ongoing efforts of TheOneRing.net. Cheers and congratulations! “To all the staff and members of ToRN many wishes on your fiftheenth anniversary. Thank you for being there all these years to inform us on all things Tolkien. Thank you for bringing together people from all over the world and building a great fan community. Even some of us in the Greek Tolkien Society first met in your forums back in year 2000. Keep up the good work and enjoy your special birthday! All the best from “The prancing Pony”! Greetings from Germany and all the best for your 15th anniversary. Thank you so much for your passion over the years. There aren’t many websites driven with such commitment and profound knowledge of Tolkien’s works and legacy. TheOneRing.net always has been und will be the virtual haven for so many Tolkien Fans worldwide. You’ve had such a deep impact on them, that a Middle-earth fandom without TORn isn’t really imaginable. One of your greatest achievements is having connected the fans to the inspiring people down in New Zealand who brought us these movies. Through this you created many unforgettable moments and precious memories. The team of Herr-der-Ringe-Film.de congratulates you and wishes you all the best for the next 15 years! The Greisinger Museum sends their best wishes to TheOneRing.net for celebrating their 15th Anniversary. We think (that) you will do your best in the next 15 years again. May the ideas in your brains never run out!